18 Feb 2012 Can Obama say Ana Souri as Kennedy said Ich Bin Ein Berliner? Understanding the logic of Syria’s policies can be a daunting task. Syria, under the Assad regime, has fostered a strategy that includes persecution of the Syrian Muslim Brotherhood (SMB) at home while providing moral support, weaponry, and other tangible assets to the Palestinian Muslim Brotherhood abroad. Notably, Syria provides significant support to Hamas, a violent offshoot of the Palestinian Muslim Brotherhood in the Gaza Strip. A closer look at the enmity between the Islamists and the ruling Alawite regime in Syria is necessary to fully grasp Syria’s policies. In the 13th century, Sheikh Ibn Taymiyyah, an Islamist scholar, issued a fatwa against the Alawites because of their support to the Crusaders at the time. Although this 700-year old fatwa held little meaning for future generations, the SMB wields it today as a rationale to wage war against the ruling Alawite regime of Syria. The Sunni Muslim majority, however, did not need a fatwa to resent the rise of the Alawites as the Syrian political elite in the 1960s. Hafez al-Assad’s oppressive methods, which he learned in the Soviet Union while gaining pilot training, overwhelmed his political opponents. The fascist overtones of Assad’s ruling Baath Party did not help matters, either. Indeed, Assad’s authoritarianism laid the foundation for a violent conflict with the SMB. The campaign against the oppressive Alawite regime began on June 16, 1979, when radical elements of the SMB, known as the Fighting Vanguard (Al-Taalia al-Mukatila), attacked the Military Academy of Aleppo killing at least 83 cadets, the majority of which were Alawites. Assad, who had already consolidated his power base after nine years of dictatorial rule, retaliated with brutality, sentencing 15 SMB prisoners to death. The unrest, however, did not end there. Aleppo, the center of the Sunni revolt, became a hub of armed resistance. The SMB organized paralyzing strikes and demonstrations that were supported by secular Syrian groups. Regular attacks continued against the Assad regime, prompting increasingly lethal responses. In late 1979 and early 1980, Assad dispatched tens of thousands of soldiers to Aleppo. Assad’s army crushed the Islamists and took almost 10,000 prisoners. Then, in June 1980, the SMB attempted but failed to assassinate Hafez al-Assad. He and his brother Rifaat retaliated by killing over 1,000 SMB prisoners, the majority of whom were caught in the Aleppo dragnet. The massacre took less than an hour when French helicopters, solely used by Rifaat’s private army Sarayaa al-Difaa, gunned down the prisoners in cold blood in the Palmyra prison yard, northwest of Damascus. The following month, on July 7, 1980, Assad imposed Law 49, making membership in the SMB punishable by death. The attacks and counterattacks continued. In April 1981, the SMB attacked an Alawite enclave outside the city of Hama, Syria’s third largest city (population 250,000). In retaliation, Rifaat randomly executed about 400 of Hama’s male inhabitants over the age of 14. In the summer and fall of 1981, the SMB carried out three car-bombings against the Assad government. These assaults, along with a handful of attacks against military targets in Damascus, killed hundreds. Finally, in 1982, approximately 200 SMB fighters led a large-scale insurrection in Hama. The government, led by Rifaat, responded indiscriminately by bombing Hama for two weeks without interruption. Hama was decimated. Between 20,000 and 30,000 people were killed. The majority were non-combatants, including women and children. The animus between the SMB and the Syrian regime continues to this day. The regime of Hafez al-Assad’s son, Bashar, continues to uphold Law 49 of 1980 to strangle the movement. An uneasy calm has taken hold for more than two decades, with few exceptions. In 2006, the National Salvation Front emerged as a new challenge to the regime. 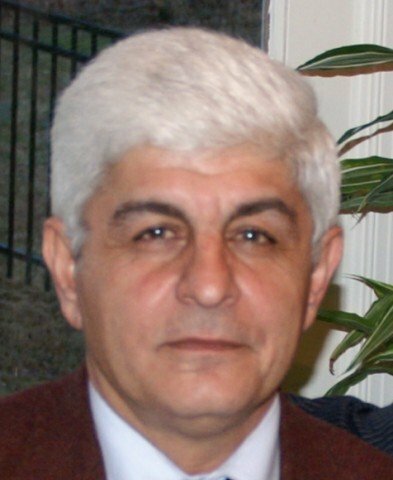 An ex-vice president of Syria, Abdul Halim Khaddam, defected in December 2005 and joined forces with the SMB. In exile, a number of ex-Baathists and Islamists are now advocates of regime change. On January 7, 2009, however, the SMB issued a communiqué clarifying that its primary war was against Israel, and not the Syrian regime. To this end, it reportedly suspended its operations against the regime and launched blistering rhetorical attacks against Israel for Operation Cast Lead, an Israeli offensive in the Gaza Strip in response to Hamas-fired rockets. It is believed that the Iranian regime, through its embassy in London, influenced the SMB’s new position. The mullahs seek rapprochement between the SMB and the Assad regime as a means to keep it in the Iranian axis. Indeed, renewed ties with the Brotherhood could lead to a more united front espousing intransigent policies vis-à-vis Israel and the United States. 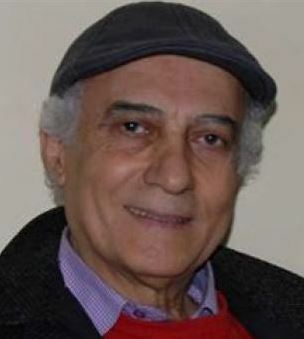 Bashar al-Assad’s decision to dialogue with the SMB is also based on his observations of the Egyptian model. The Syrian president is under fire from Washington and the West to reform. So is Egypt. But Egypt skirted the issue after it granted more freedom to the Egyptian Muslim Brotherhood. When the Islamists appeared to grow too strong, the West backed away from the democracy agenda, fearing the rise of an Islamist state. Now, with the SMB participating in Syrian politics, Assad can wield the Islamists as a tool to offset Western demands. However, the nascent Assad-SMB alliance may not last. The historic enmity may make it virtually impossible to reconcile their opposing religious and political views. Despite its complex and often bitter relationship with the SMB, Syria has been a strong supporter of the Palestinian Islamist terror organization Hamas. The secular Assad regime views Islamic extremism as its core enemy, but at the same time uses that extremism as a weapon against Israel, the U.S., and the Syrian people. In addition to providing refuge in Damascus for Khaled Meshal, a senior Hamas figure, Assad has provided arms and training to Hamas. Indeed, in March 2008, the London Sunday Times featured an interview with a senior operative belonging to the Izzedine al-Qassam Brigades, the “armed wing” of Hamas. According to this operative, Hamas fighters underwent advanced training in Iran and Syria for the manufacturing of weapons, IEDs, and rockets. This includes the homemade Qassam rockets used to attack Israel on a near-daily basis. It also includes the 122mm Grad rockets that struck the Israeli city of Ashkelon during Operation Cast Lead in December 2008 and January 2009. It doesn’t end there. Hamas operatives from the Gaza Strip are rotated to Syria for basic training. It is estimated that thousands of fighters may have been trained in Syria by instructors who learned their techniques in Iran. There are as many as 100 Hamas trainees in Syria at any given time learning the latest terrorist techniques for Hamas’ long campaign against Israel. Hamas, in the end, is an extremist Sunni organization, allied with Alawite-ruled Syria and Shiite Iran. The Iran-Syria alliance will endure. The Syria-Hamas alliance will not. As al-Zahar hinted in his al-Jazeera interview, Islamists are empowered by alliances with other Islamists—not by alliances with regimes whose history or religious background clash with the Muslim Brotherhood. Their real power base cannot be built by relying on Syrian logistical support. Rather, the totalitarian ideology of the Brotherhood is such that the group seeks to establish grass roots in Arab states (i.e. Syria, Egypt, Jordan, Yemen, and the Palestinian territories), so that the organization can attempt to gain regional power. To date, however, Hamas has gained more from Syrian support than Syria has gained from Hamas. For the first time in history, the Muslim Brotherhood rules a small strip of land—the Gaza Strip—and is carrying out acts of violence, not only against Israel, but also against Palestinians in Gaza, in an effort to fulfill its goal of destroying the State of Israel and creating an Islamic Caliphate. Syrian aid and political cover has helped Hamas gain strength in Gaza. Syria, by contrast, is caught between the U.S. and Iran. For now, Bashar al-Assad is playing one side off the other, just as his father did during the Cold War with the U.S. and the Soviet Union. This is a difficult strategy to sustain. Syria’s seemingly contradictory policy of cracking down on the SMB on the one hand, and supporting Hamas on the other, demonstrates that Damascus fears internal Islamist opposition yet derives strength through supporting Islamist agendas in the region. This is a policy that cannot hold in the long run. The need for reform in Syria is dire. The latest elections in Iraq demonstrated that Arabs will choose freedom and democracy over religion if given the chance, and Syria is no different. Like the Iraqis, the Syrian people want to build a nation rather than support terror. Syrian reform can be achieved with sustained diplomatic and political pressure. But Washington and Israel should be forewarned. The alliance between Damascus and the SMB has been set in motion. The SMB continues to gain strength in Syria, which bolsters support for the Syria-Hamas alliance. Moderate Muslim leaders must be empowered to undermine the Assad regime and the rising domestic strength of the SMB, and to sever the Syria-Hamas alliance that continues to threaten regional peace.